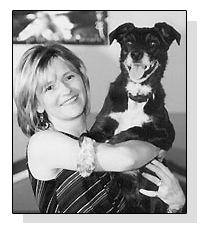 Dr. Pamela Reid is a Certified Applied Animal Behaviorist (C.A.A.B. ), and currently serves as Vice President of the ASPCA’s Anti-Cruelty Behavior Team (ACBT) and the Anti-Cruelty Behavioral Rehabilitation Center, which provides state-of-the-art treatment for animal victims of cruelty who suffer from behavior issues. The ACBT works closely with the ASPCA’s Field Investigations & Response (FIR) team to provide behavior evaluations, enrichment and rehabilitation for animals from cruelty cases and disaster responses. In her role, Dr. Reid oversees the evaluation and proper placement of animals seized in dogfighting, puppy mill and hoarding cases. Through specialized behavior assessments, the ACBT gathers information to ensure the best outcome for victims of animal cruelty and provides supporting evidence for prosecution. Animals considered unadoptable for behavior reasons are channeled to the Behavioral Rehabilitation Center. Dr. Reid has played an integral role in many high-profile operations, including the evaluation of Michael Vick’s dogs, as well as dogs from the largest dogfighting raid in US history—commonly known as the “Missouri 500”. Dr. Reid has responded with the ACBT to numerous natural disasters, including Hurricane Sandy and the 2011 Joplin, Mo. tornado. With the ACBT, Dr. Reid evaluated and cared for thousands of displaced animals, many of which were reunited with their owners and the remainder being adopted into loving homes. Her training and experience in interpreting animal body language allowed Dr. Reid and her team to detect subtle signs of recognition in pets when they interacted with visitors who came to the shelter—a skill that went a long way in verifying that they were making the correct matches as thousands of people came to the shelter to find and claim lost pets. Dr. Reid received her Ph.D. in Psychology with a specialization in animal learning and behavior from the University of Toronto. She established a successful referral practice, Animal Behaviour Services, Inc., in Toronto, Canada. As a member of the faculty at the University of Guelph, Dr. Reid supervised graduate students working toward theses in applied animal behavior. Dr. Reid lectures on animal behavior and training worldwide, including Australia, Canada, England, Europe and Japan. In addition to her many scholarly works (including chapters in Readings in Companion Animal Behavior, Shelter Medicine for Veterinarians and Staff, Mental Health and Well-Being in Animals and The Behavioural Biology of the Dog), Dr. Reid’s writings appeared regularly in Dogs in Canada from 1997-2002 (Dog Writers Association of America award for Best Column). She authored the book Excel-erated Learning! Explaining (in plain English) how Dogs Learn and how Best to Teach them and Dog InSight: a Collection of Essays on the Essence of the Dog. Dr. Reid has served on committees for the Association of Pet Dog Trainers, Delta Society, American Humane Association, and the Humane Society of the United States on topics relating to canine learning and dog training. She was a member of the development team for PETsMART’s 2000 instructor training program. Dr. Reid has served on the ABS Board of Professional Certification and was a special consultant to the Certification Council for Pet Dog Trainers. Dr. Reid is not only a well respected applied animal behaviorist, but a successful dog trainer as well. Her Saluki, Shaahiin, was the first Saluki to earn a USDAA agility title, and, for 12 years held the record as the only Saluki to hold a Flyball Championship title. Her Border Collie, Ciaran, earned Dog World awards for obedience scores over 195 and won several classes at USDAA national agility events. Dr. Reid’s Border-Border Eejit, is a two-time USDAA National Steeplechase Champion, and a three-time USDAA Regional DAM Team Champion. Canine Aggression | Where Do You Draw The Line?